The third Brandenburg is an all-string affair but don’t be quick to sell it short. It is scored for three violin parts, three viola parts, three cello parts, and basso continuo. Having a legion of strings play the thickly orchestrated work isn’t a barter, it’s great. The first movement begins robustly introducing the wavering theme with repeating rhythmic pickups leading to moving themes. 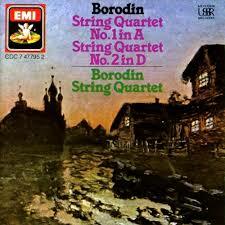 Bach’s use of orchestration across this vast array of strings is truly majestic but also rustic. In typical fashion the themes are compressed into thick, juicy counterpoint and fugues sequenced by tense solos which resolve and agitate the melody back and forth across mostly the mid to upper strings. The celli don’t have overly much to do and the piece ends with a re-chorus of the original melody.